With local guides on the ground in over 55 offices around the world, Abercrombie & Kent can provide you with exclusive insider access to the experiences that other travel companies simply can't provide. So whether you want a tour of the Pyramids with your own Egyptologist, would like to try your hand at elephant polo in Jaipur or browse the private art collection of the Medicis' in Florence, our experts will know just how to make it happen. And as we are the partner of choice for many hotels and resorts, our clients are guaranteed to receive the best service available. Our sales consultants are all specialists in their own geographical region and are on hand to offer you a very personal service. One specialist will handle your booking from start to finish and ensure that all your travel needs are met. They each have their own direct line and so you will be able to get through to your personal consultant whenever you need to. Abercrombie & Kent is committed to responsible and ethical tourism. At A&K we understand that tourism has the potential to enrich, but can also threaten the fabric and spirit of fragile destinations. We therefore firmly believe that it is our duty to help protect the zoological and anthropological heritage that makes travel so worthwhile and rewarding. Through the work of A&K Philanthropy, we support sustainable conservation projects which help give local people a personal economic interest in preserving the unique qualities of their habitat and environment. A&K has a unique infrastructure within the travel industry, with our own ground operations and local offices around the world providing a network of specialist knowledge and first class service. Today we have 55 offices and over 2,500 members of staff and can boast a wholly-owned fleet of boats, lodges, camps, and 340 vehicles. It is only through having this ground presence that we can safely claim that we can manage our clients' needs from an initial enquiry through to their travel experience and on to their safe return home. Our clients can rest assured that wherever they travel with us, they will be looked after by the A&K network around the world. In the event of any emergency situation, local A&K staff will be on hand to assist you and your travel documentation will contain a 24-hour emergency telephone number linking you to our 24 hour, 7 days a week Duty Manager system. At A&K we thrive on repeat business due to our reputation. Repeat clients are extremely valuable to us and your feedback is recorded and noted to ensure that your needs are not only met, but exceeded. Our staff, both in Australia and around the world, are extremely experienced and have years of travel knowledge and experience between them. Attention to detail is key and our highly trained sales consultants will ensure that every element of your travel itinerary is planned to the last detail. We will build an entire tailor made itinerary designed around your requirements. This allows you to explore your own interests, select your own style of accommodation and travel at your own pace. You are not beholden to a group itinerary or schedule. All local travel arrangements are made using private guides and drivers wherever possible. 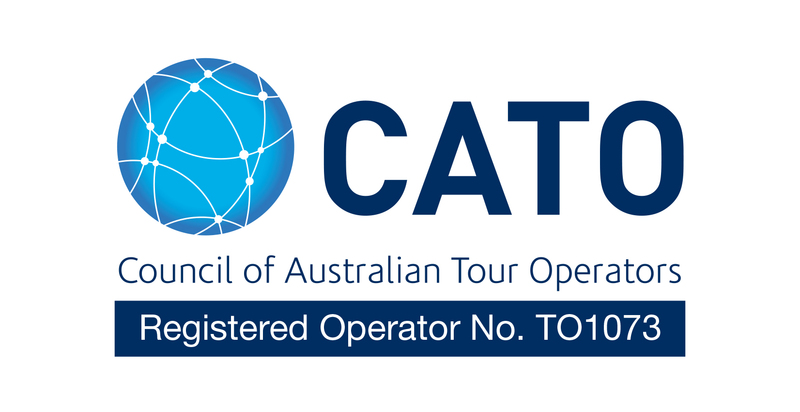 A&K are proud members of the Council of Australian Tour Operators (CATO). Membership of CATO is a hallmark of competence and integrity. CATO is the representative body for wholesale tour operators who supply travel and tour packages to domestic and international destinations.